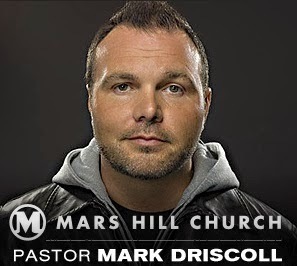 Sola Sisters: Mars Hill Pastor Mark Driscoll Resigns, Claims He Is Not "Disqualified From Future Ministry"
Mars Hill Pastor Mark Driscoll Resigns, Claims He Is Not "Disqualified From Future Ministry"
Mars Hill pastor Mark Driscoll, who was first introduced to the world by being featured as a keynote speaker at John Piper's 2006 Desiring God conference, and who quickly gathered a large following along with a "bad boy" reputation, has now resigned. However, in his resignation letter, Driscoll appeared to leave open the possibility of his return to public ministry by stating that he was thankful to the Mars Hill church oversight committee for making it clear that he (Driscoll) has not been disqualified from future ministry. His basis for making such a claim seems to rest on the fact that the oversight committee had stated that Driscoll had not been charged with "criminal activity, immorality or heresy." It should be noted, however, that these things, while important, are not the entire standard against which a pastor is to be held. "This is why I left you in Crete, so that you might put what remained into order, and appoint elders in every town as I directed you— if anyone is above reproach, the husband of one wife, and his children are believers and not open to the charge of debauchery or insubordination. For an overseer, as God's steward, must be above reproach. He must not be arrogant or quick-tempered or a drunkard or violent or greedy for gain, but hospitable, a lover of good, self-controlled, upright, holy, and disciplined. He must hold firm to the trustworthy word as taught, so that he may be able to give instruction in sound doctrine and also to rebuke those who contradict it. For there are many who are insubordinate, empty talkers and deceivers, especially those of the circumcision party." Also, the following articles (most of them by Warren Throckmorton of patheos) have documented questions and concerns that still remain about alleged improprieties over the handling of some of the finances while Driscoll was the lead pastor at Mars Hill, particularly with respect to the Global Fund. 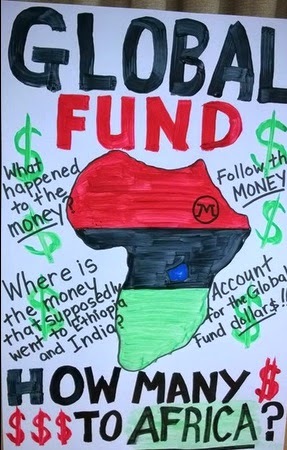 The Global Fund was a fund that Mars Hill attendees were encouraged to contribute financially to, and which was positioned as a missions fund. Mars Hill Global Fund: Help the Helpless or Use the Helpless?